Want to be notified of new releases in pguyot/Einstein? Einstein is a NewtonOS emulator. 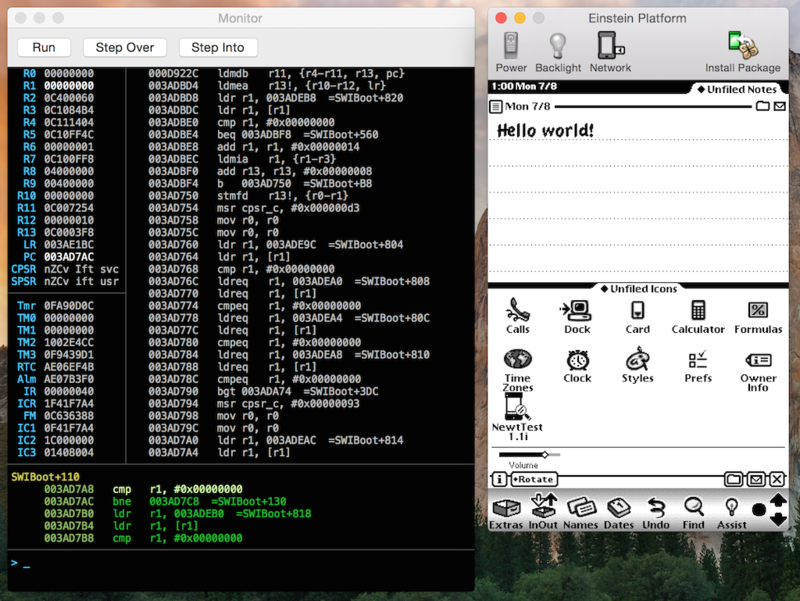 Einstein officially runs on macOS, iOS, and Ubuntu Linux with partial support for Android, Raspberry Pi, and Windows. A Newton ROM file is required to run Einstein. We cannot distribute the ROM file. If you own a Newton device, you may be able to dump your own ROM file from it. See Dumping The Rom for more information. Once you have Einstein up and running, refer to the user manual.